What would you do if an immediate family member (a parent or a sibling) suddenly got diagnosed with a critical illness and needed significant financial support? How far would you go in providing financial help, given that you also have your own family? Would you give them all your financial help, knowing that the future of your own family and kids may be jeopardized? For the past few months, I’ve met a number of people who have been having this kind of dilemma. I have a friend who has a brother undergoing dialysis for failed kidneys and spending P30,000 – P40,000 per month for treatment. Another friend has a brother who has been in and out of hospital and spending P100,000-P200,000 for every confinement. And then, the mother of my colleague who has cancer has been undergoing chemotherapy, and we all know how much the treatment costs. There is one unique trait we, Filipinos, are known for and that is, we value family more than anything and we will do whatever we can to support our family. And I’m sure 90 percent of us will not think twice about giving everything for our family even if it means enduring the financial struggle in the process. But these encounters with friends having family health and financial problems really got me thinking: What if it happens to me, my family, how far will I go? Will I give all my savings to support my sick relative? I have my own family, with two kids. My parents are both still alive and well, managing our modest family business, but are now in their 60s; I have a sister who is an OFW and a brother who is yet in his second year of medical school. I consider myself part of the middle class and to be honest, I don’t think I’m at a financial level where I can say I’m confident about my ability to support such family situations at the moment. Since becoming a financial advisor, I have further understood the importance of money and the role it serves in our life. It is a very important tool for a bigger purpose we all want to achieve. We save because we want to secure our family’s future. We want to have that peace of mind that there will be enough funds to cover our times of need. We invest because we want to secure our dreams. We want the assurance we will have enough to be able to live that dream. We get health or life insurance because we want to secure our income. We want to be assured that whatever happens to us, our family’s future is taken care of. We want that peace of mind that even if we get sick, we have enough to support ourselves and not sacrifice our family’s dreams. The encounters I’ve shared allowed me to appreciate more the value of saving, investing and getting health insurance. More importantly, they validate the value of what we do as financial advisors and the key role we play in people’s dreams. It is also not enough to just be able to save, invest and be insured, what’s equally important is encouraging, convincing or even demanding that people around us, especially those we love dearly, to do so as well. Personally, it saddens me to see friends and colleagues go through the difficulties they’re going through. It is one of the things I fear for myself and I hope doesn’t happen to anyone, but when it does, I hope that we are financially ready to face the challenge. It’s because during these times, when there will be so much going on emotionally, mentally and psychologically, the last thing we want at the forefront is to worry about the financial aspect – something we know we could have prepared for, and I hope we do while we still can. 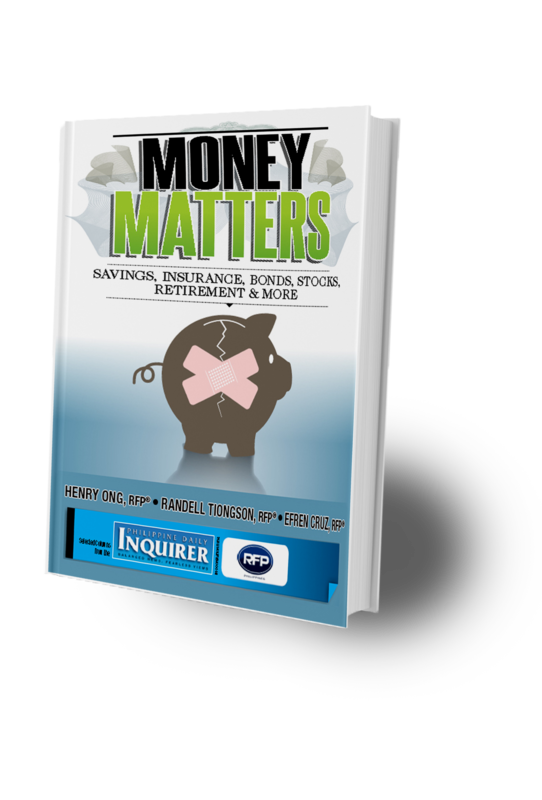 Jeremy Jessley Tan, RFP®, is a registered financial planner of RFP Philippines. To learn more about personal financial planning, attend the 66th RFP program this November. To inquire, email info@rfp.ph or text <name><e-mail><RFP> at 0917-9689774. Previous: How Do Share Buybacks Affect Stock Prices?